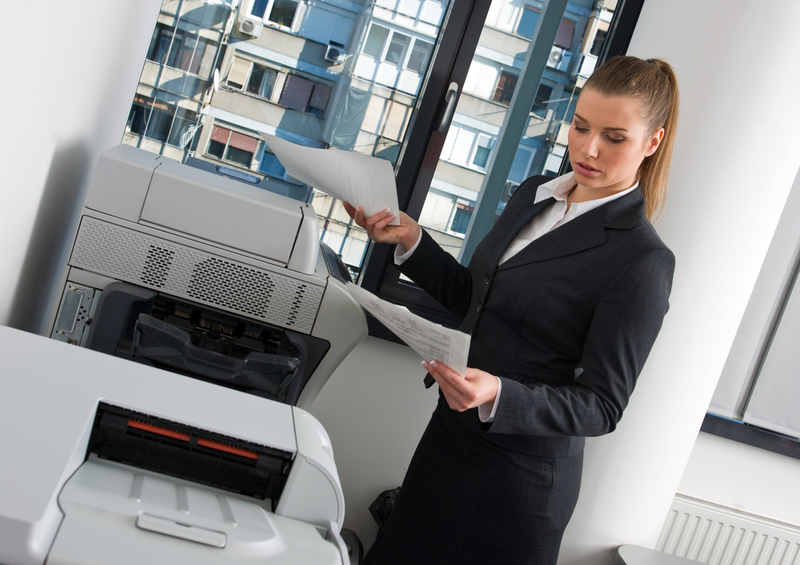 The performance of your printer can depend on several factors, ranging from age to the type of manufacturer. However, there are also steps you can take to maximize the life span of your printer and reap the full value of your investment. Below, the friendly technicians at Laser Line in Jessup, MD, are here to share some essential printer maintenance tips that will prevent the need for repair and replacement. The collection of dust and debris can prevent your printer from working properly, which is why routine cleanings are necessary. Use a pressure-controlled vacuum and damp cotton swabs to remove the grime from the interior. Apart from energy costs, turning your printer off or pulling the plug when it’s not in use can also increase its lifespan and reduce the need for constant printer repairs. As printers continue to heat up, they can consume the ink in the cartridge and clog up the printer head. Your printer will notify you when the cartridges are running low on ink. It’s best to always have extras on hand, as you should not wait for them to be empty before replacement. When a printer attempts to use empty cartridges, it can damage internal components. Even with routine printer maintenance, it’s possible to experience occasional problems with your printer. When this occurs, turn to the team at Laser Line, the premier printer company in Jessup, MD. For over 28 years, they have offered a broad range of top-quality services, from printer maintenance and repairs to a wide selection of technology for sale. Contact them today at (410) 636-1700 to schedule an appointment. You can also visit their website for more information about how they can best meet your printer service needs.